Fellow Zimbabweans when zanupf thugs and thieves were distributing farms to their children , they were distributing starvation to our children.When their children were learning at good universities ours were not learning or learning under trees .When their children were pouring wine on expensive watches ours were pouring sewage water in cups to drink.The list is endless and we all know that. So we should allow them to just get away with it and those who were murdered by the army and kidnapped by zanu cio’s tototi that’s it ? These zanu thugs and thieves have punished us and our children and grandchildren and our future generation then tongoti ndizvo .Totosangana naBona munafirst kwaakutoti hesi Bona and move on ? Meanwhile here are memorable quotes by her mother compiled by unknown. 1. Iwe Joji, Joji, hauna right yekumisidzana naMinister, you are too junior. 2. Munangagwa wajaira, wajaira Munangagwa. 3. 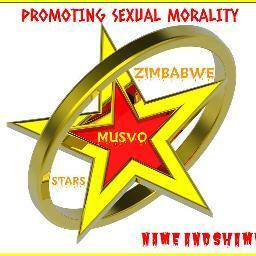 Every day tinogara tichityityidzirwa naMutsvangwa kunzi Munangagwa ane support yemasoja, ngavauye vatipfure. 4.VaMugabe nyange vakafa nhasi he will rule from the grave. 5. Kasukuwere is not going anywhere. 6. Zvamunoona ndakadai nditoriwo mukaranga pandiri pano, Chivhu yakazodimburwa ichiiswa kuMash East later. 7. Munangagwa chii, what is Munangagwa on this earth, munhu akatopiwavo basa nemurume wangu? 8. Fanika aka kamurume kanonzi Kaukonde ndakakamaka fani, kapedza vakadzi vevanhu kachingosekerera ende mazino akanaka. 9. Kazembe Kazembe huya pano mhanya, wanga wave kutozviona wave cheyamenika.